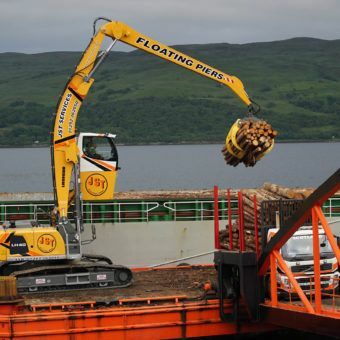 Innovation born out of necessity. 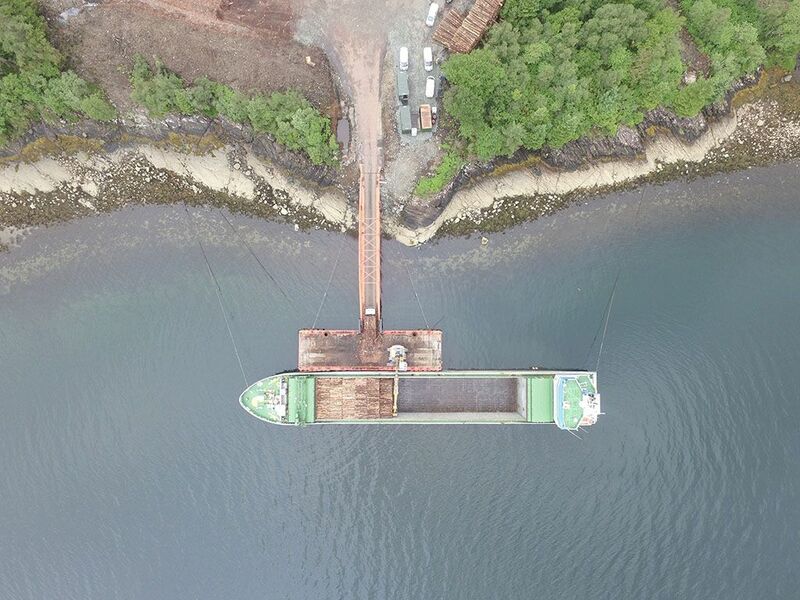 The original design remit for the JST Services integrated floating pier system – was to meet one of the major challenges facing forestry owners, harvesting companies and investors involved in realising timber assets in some of the UK’s more remote woodland properties. 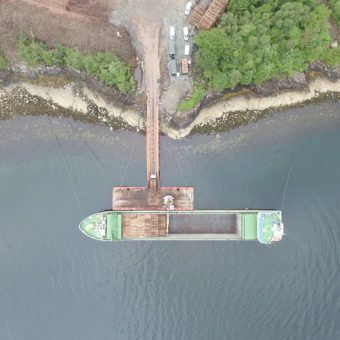 JST’s floating piers are patented and uniquely engineered assets of self assembling marine equipment that provide a key interface between shoreline and a suitable depth of water, to facilitate a stable ‘constant freeboard’ height and secure floating platform. 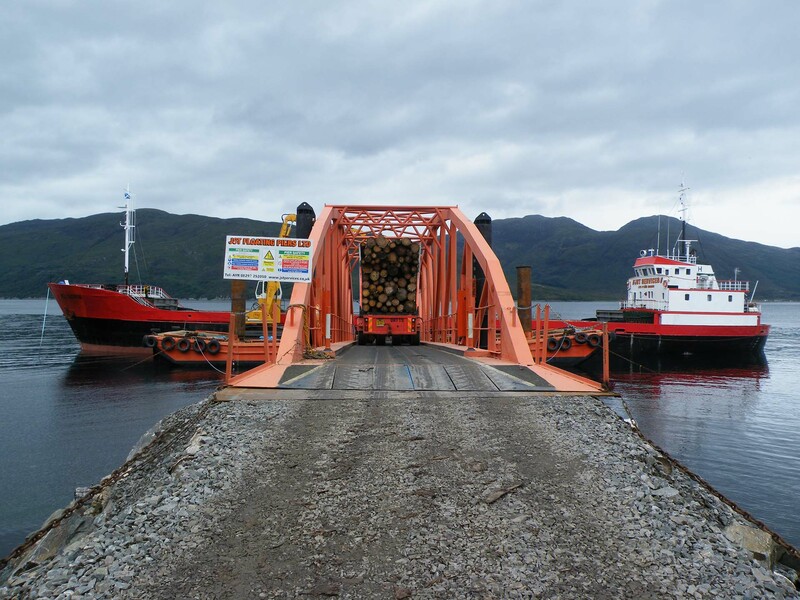 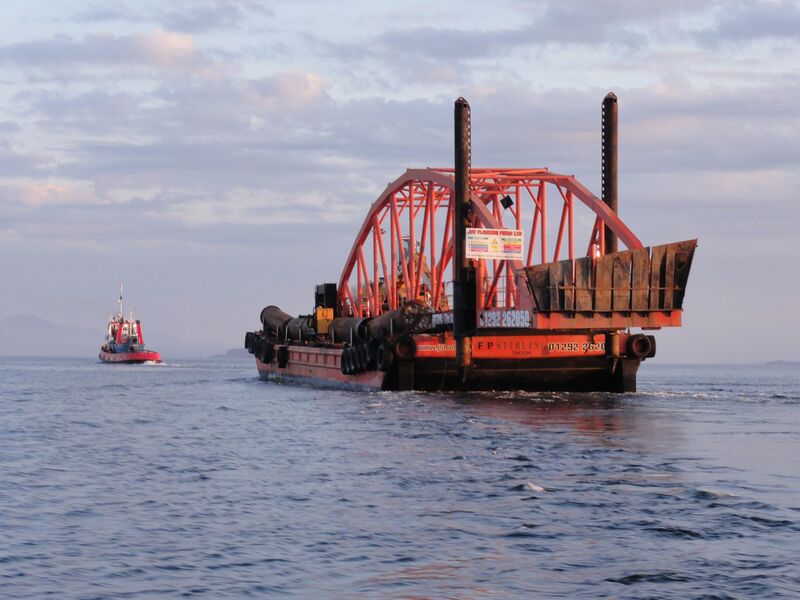 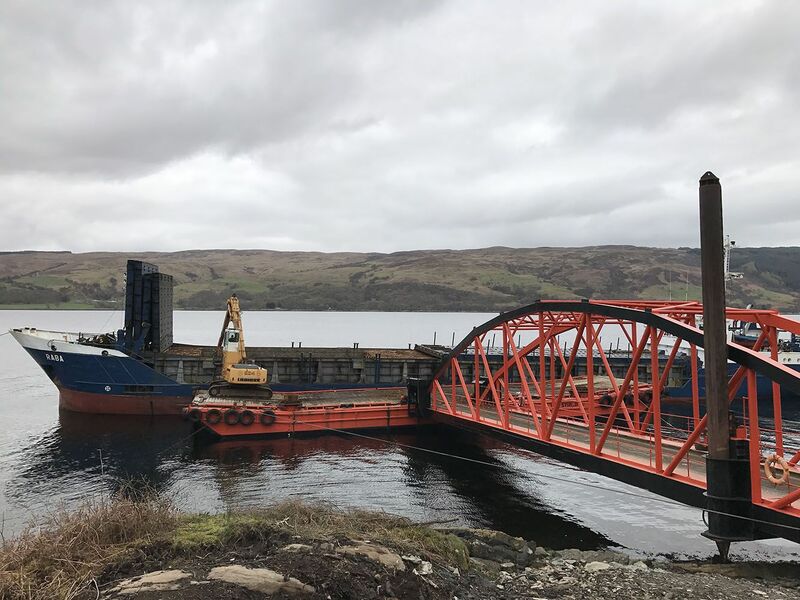 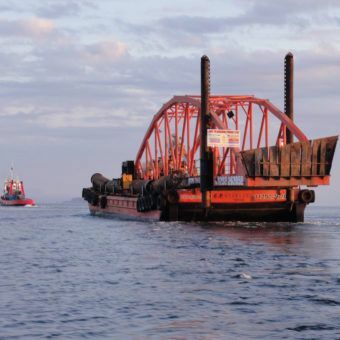 They are designed to move resources in and out of remote locations facilitating vessels of up to 3000 tonne capacity to berth alongside and load or Discharge specific resources such as timber and aggregates. 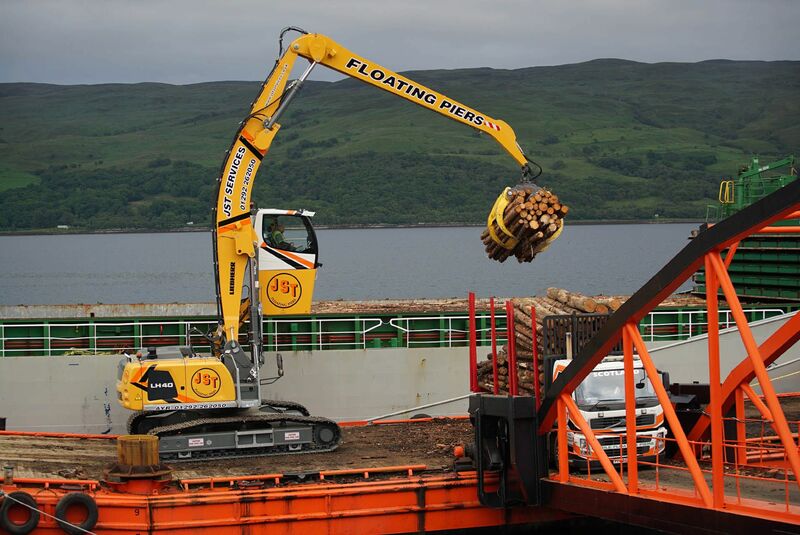 The original design remit for the JST integrated floating pier system – was to meet one of the major challenges facing forestry owners, harvesting companies and investors in involved in realising timber assets in some of the UK’s more remote woodland properties. 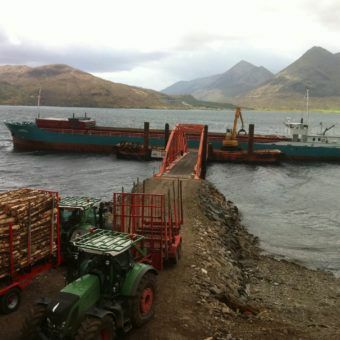 can help address this and is also consistent with key strategy outcomes of the Scottish Executive Freight Action Plan for Scotland, Scotland’s National Transport Strategy and the Scottish Forestry Strategy. 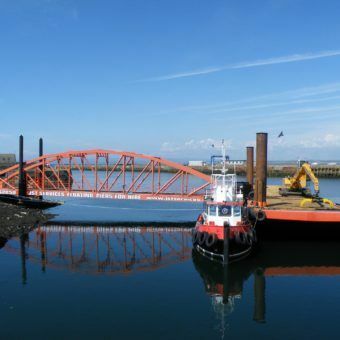 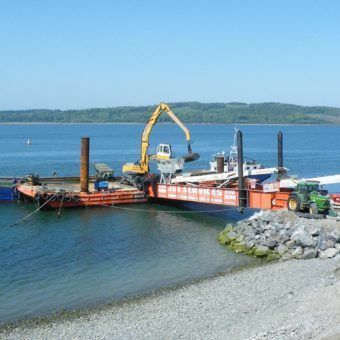 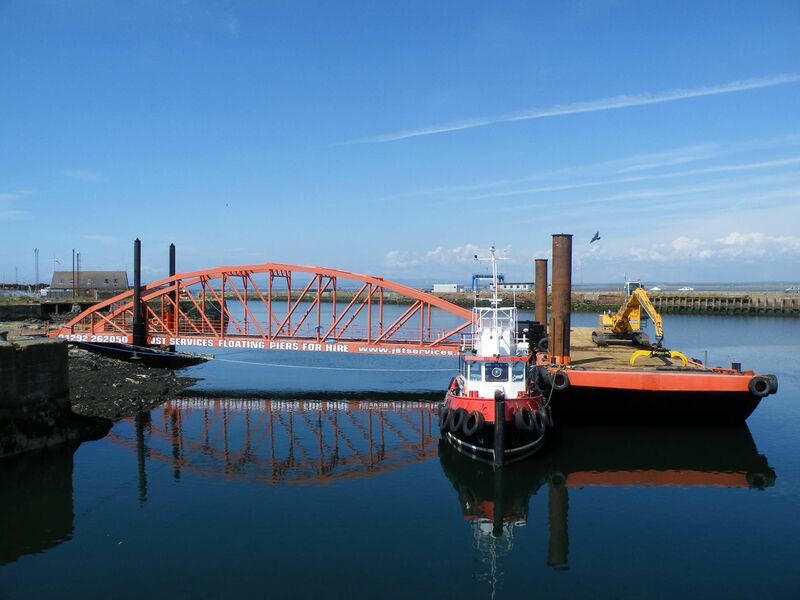 Where site and shore Conditions allow, the self-discharging pier and linkspan can be set up and become operational in a 12hr shift. 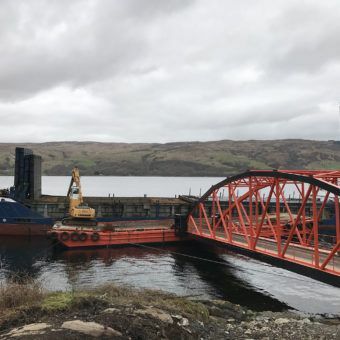 Operational pre planning and infrastructure is required to achieve this, JST can manage this lead in process with a comprehensive range of surveys including specialist bathymetric, topographical, and ‘EPS’ wildlife. 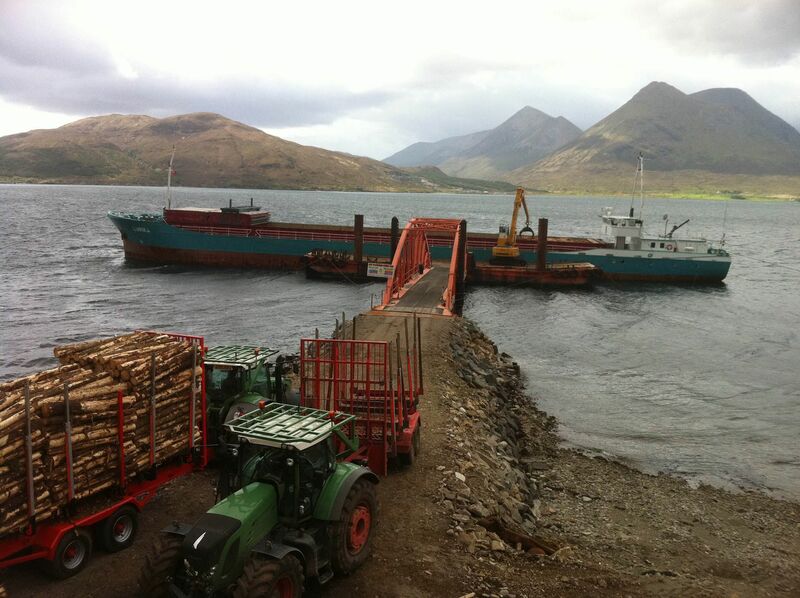 Along with STTS funding and a strategic 500k investment by JST Floating Piers Ltd a purpose-built timber storage and ship loading facility has been created at Ardcastle in Argyll, the investment includes forest road upgrades and creation of a 7000t capacity round timber storage area, the site also generates it’s own on power by wind and solar power, which in turn powers the site’s own unique timber stock monitoring system. 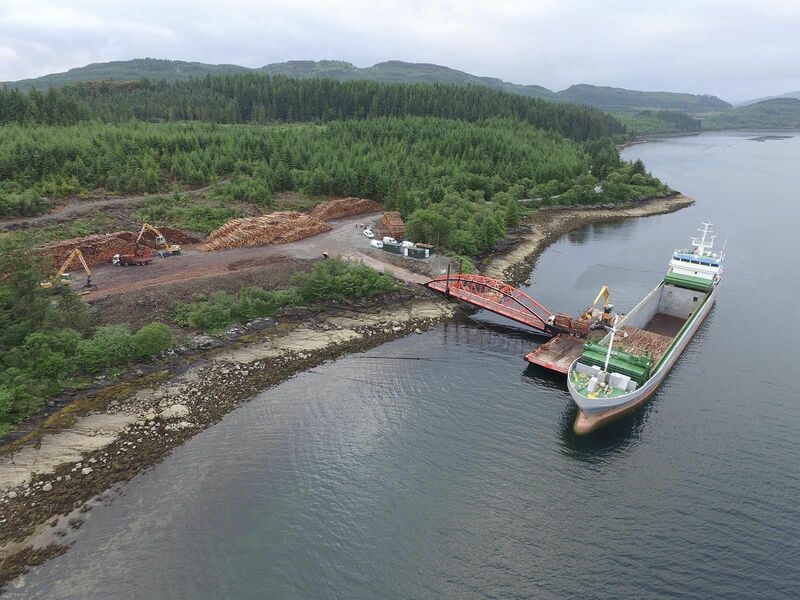 This has created conditions that will allow the local forest industry to react, and match production to increasing end user demand for timber resource. 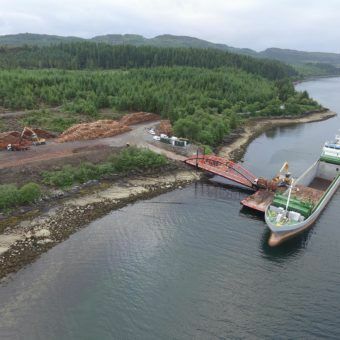 It is predicted that the site could ship upwards of 600k tonnes of timber over the next 10 years from a broad timber ownership spectrum to a range of predominately domestic industrial end users. 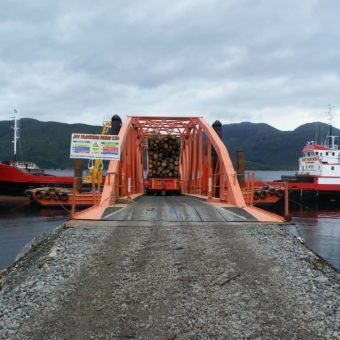 traffic from the islands fragile road network.